The biggest door on your house, should make the biggest statement about your house! Garage doors are actually a very important part of the overall design of your house and can add value when it comes time to sell. Whether building a new house or simply replacing an old garage door, Taylor Door Co. has a beautiful selection of garage doors in Detroit that will grab the attention of anyone passing by. Taylor Door offers a wide variety of traditional garage doors in Detroit, that still add an elegance to your home. These traditional garage doors are the standard rolling garage doors, that are most common on homes today. Just because these doors are traditional and standard, doesn’t mean they don’t add value or can’t make your house look beautiful. 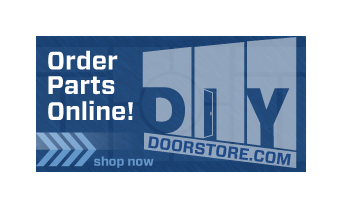 Check out our great selection of traditional garage doors in Detroit. Carriage garage doors are guaranteed to give your home an elegance that will set you apart from all your neighbors. Taylor Door carries several models and designs of these garage doors, to make your house as beautiful as can be. 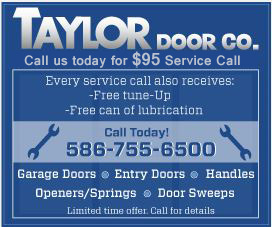 For more information on Taylor Door Garage Door service and repair contact us at 1-800-NEW-DOOR!